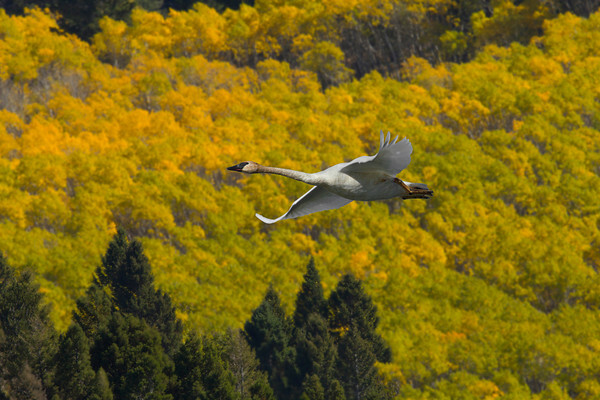 Trumpeter Swan flying with fall foilage (Aspens) as backdrop. This photo is a collage, each part taken within a mile of each other on the same morning in Red Rock Lakes National Wildlife Refuge. Sep 19, 2010.